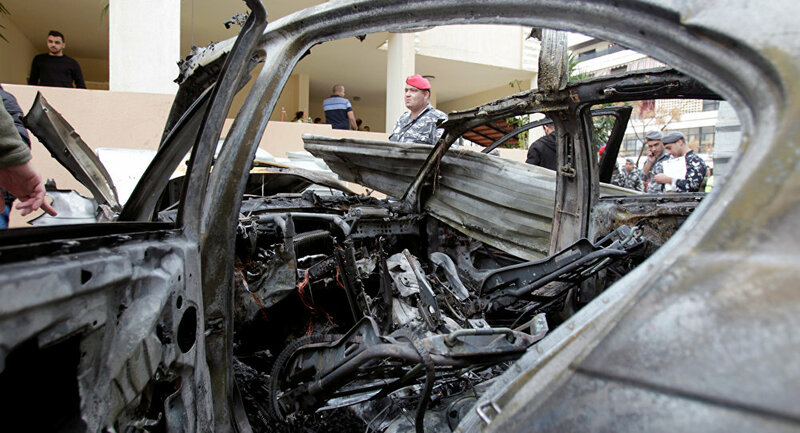 BEIRUT (Sputnik) - Hezbollah leader Hassan Nasrallah said Friday that Israel was behind a recent car bomb attack on one of the leaders of the Palestinian movement Hamas in the Lebanese city of Sidon. "Everything indicates that the enemy Israel is behind the plotting of the blast targeting one of Hamas' leaders in Sidon. We hope that it will be qualified as a crime and violation of sovereignty," Nasrallah told the Al Manar TV channel, noting that the incident posed danger to the security of Lebanon. The incident took place after on December 12 Washington and Tel Aviv had agreed upon the "general framework for future cooperation regarding Iranian malign activities", forming four joint teams to grapple with Iran's activities in the Middle East region, including Tehran's clout in Syria and its support for the Lebanese militant group Hezbollah. Hamas is an Islamist political and militant group, classified by Israel as a terrorist movement, which has been the governing authority of the Gaza Strip since 2007. The group has been seeking the creation and recognition of an independent state of Palestine on the territories of the Gaza Strip and the West Bank, including East Jerusalem, and wants Israel's withdrawal from these territories occupied after the 1967 war. The United States has officially supported the Israeli side in the Jerusalem's issue, announcing its recognition of the disputed city as the Israeli capital on December 6, 2017. This controversial move sparked mass protests across the globe and the opposition from Muslim countries, as well as the UN, which backed the Palestinians by its resolution.